You go to the store for your groceries – like every Saturday – and you pick out everything on your list, only to find while you’re standing in line that you don’t have any cash. Thankfully, you have a credit card to purchase your groceries. However, when you go to pay with your handy dandy credit card you learn the grocery store doesn’t take credit cards – whoops. You stare disbelievingly at the lovely cashier because this is 2017 and who doesn’t take a credit card? So, you leave your groceries, go home, and come back to pay or you decide to just go to another grocery store that does take credit cards. Neither option is ideal and you have a bad taste in your mouth from the ordeal for the rest of the day. This scenario is how many people feel when they are turned away because they don’t have the right payment option. If you’re a business that offers a variety of payment options, then good for your business. If you’re a business that only offers a few payment options, such as cash and checks, then this blog is to educate you on the benefits of taking advantage of merchant services so both you and your customers stay satisfied. Businesses these days need as many options as possible to ensure their customers are satisfied and are able to pay for the goods or services provided. There are be many reasons why businesses don’t want to take advantage of merchant services, but there are even more reasons as to why they should. Merchant services can be costly, troublesome, and even go against the grain of how the store wants to represent themselves. For instance, some artisans or booths at the farmers market may want to stick to cash. With these three beneficial ways to help your business, you’ll be shopping for the best merchant services in your price range. Hint: it’s Journey Business Solutions that offers low-cost merchant services that will fall in your price range. The most beneficial reason you should purchase merchant services is that you’ll increase your profit. Cash and checks are both great payment options to accept; however, most people in this day and age pay with credit cards or debit cards. Credit cards and debit cards allow people to pay for large purchases when they aren’t able to carry that much cash or even if they don’t have that much money. With a growing industry, most people have at least one credit card, if not two. Credit cards are considered to be the norm for payments nowadays because it’s the preferred method for paying for items. Credit cards allow you to pay for things by putting it on the backburner and pay for it later as well as purchase items online. Credit cards eliminate any idea in your mind that you can’t afford something. Credit cards can increase purchases and bring in new customers. Going back to the aforementioned scenario, if others don’t offer credit cards and you do, you’ll surely bring in more potential customers with the payment options you offer. If you’ve been in business awhile, then you’ve probably had one or two bad checks pass under your radar. Even with necessary precautions, such as taking down driver’s license numbers, phone numbers, and checking IDs, bad checks can still be accepted by merchants. When you have merchant services, you’re able to eliminate getting bad checks. With electronic payments, your business will avoid having to deal with the nuisances of bounced checks. Instead of dealing with the costly inconvenience of bounced checks, you can find the right merchant service for you. No one likes dealing with costly payment discrepancies, so eliminate handling them with merchant services. If you’re not a very organized person, then finding an easier way to handle your cash flow and money may sound like the perfect idea for you. Merchant services are able to help you deal with your cash flow easier. When you accept credit cards, debit cards, and even online payments, you’re able to count the cash exactly as it is coming in. When you can count the cash coming in by the electronic payments, you can tell how much profit you’ve made as well as if your stock is depleting. To stay better organized and figure out the cash flow forecast, merchant services will keep you up to date on each purchase that’s made from your store. 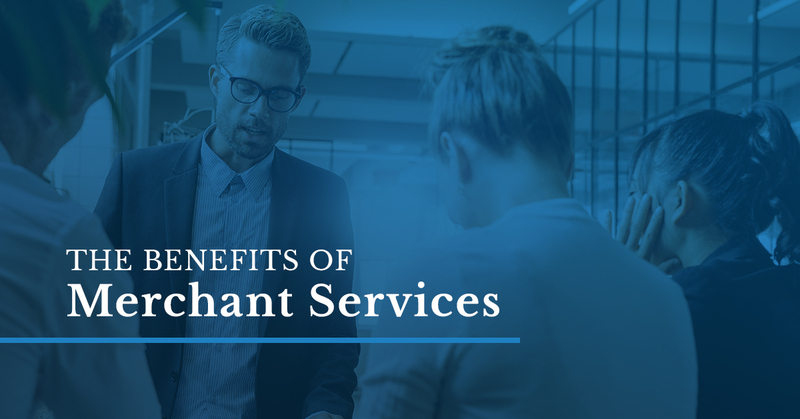 Now that you know some of the benefits of having merchant services, it’s time to figure out which merchant services best matches up with what you’re looking for. For any questions you may have about our merchant services, take the time to contact us. We cater to Dallas, Fort Worth, And McAllen, TX.